Chinese telecoms Huawei and ZTE have been blocked from supplying equipment for Australia’s planned 5G Networks due to security concerns. “We have been informed by the Govt that Huawei & ZTE have been banned from providing 5G technology to Australia. This is a [sic] extremely disappointing result for consumers,” the statement read. The Chinese company previously said it would not hand over sensitive information to the communist regime. 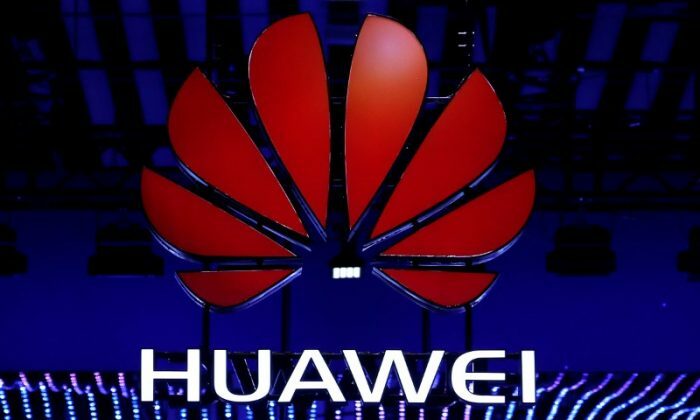 John Lord, chairman of Huawei’s Australian unit, said he believed that “banning Huawei will not make the Australian telecom ecosystem safer.” However, the companies’ extensive lobbying did not quell concerns over the risk of spying by the Chinese Communist Party (CCP). The “government has found no combination of technical security controls that sufficiently mitigate the risks,” the statement said. To ensure the security of the planned network, Treasurer and Acting Minister for Home Affairs Scott Morrison—who made the Aug. 23 announcement with the Minister for Communications and the Arts Senator Mitch Fifield—said the application of the government’s Telecommunications Sector Security Reforms (TSSR) obligations will require carriers and carriage service providers to share sensitive information with the government on threats to the telco networks, and actively protect against threats to national security. “The government’s Telecommunications Sector Security Reforms … place obligations on telecommunications companies to protect Australian networks from unauthorised interference or access that might prejudice our national security,” Morrison said in the statement. The TSSR will commence on Sep. 18 this year. In response, the CCP’s Foreign Ministry spokesman Lu Kang said on Aug. 23 that it was extremely concerned over Australia’s ban. The government’s move to ban the Chinese telcos could make way for other key potential suppliers such as Nokia and Ericsson to enter into lucrative contracts with Australian carriers such as Telstra, Optus, and Vodafone to supply equipment for the 5G networks. However, serious questions about Nokia and Ericsson were raised after it was revealed the two companies, who are headquartered in Scandinavian countries, could also have links to the CCP, which may possibly be perceived as a security risk for the planned network. Both companies manufacture their equipment in Chinese factories and have joint ventures led by Communist Party officials. For years, intelligence agencies in the west have raised concerns about Huawei’s connections to the CCP and the possibility that its equipment could be used for CCP spying. But there is currently no public evidence to support those suspicions. Huawei is the world’s largest maker of telecommunications network equipment and the No. 3 smartphone supplier. Ren Zhengfei, the founder of the company, was a former officer in the People’s Liberation Army (PLA). He continues to run the company today. Australian intelligence agencies had warned that there was “credible evidence” that Huawei was connected to the Third Department of the PLA—an arm of the Chinese military’s cyber-espionage network, according to Professor Clive Hamilton, the author of the book Silent Invasion: China’s Influence in Australia. The company was previously banned in 2012 by the former federal Labor government from participating in the National Broadband Network, reported The Australian. Security concerns have also led the federal government to promise hundreds of millions of dollars to ensure Huawei did not build an internet cable between Australia and the Solomon Islands. The Chinese telco has also been shut out from the giant U.S. market due to similar concerns that it is a trojan Horse for the CCP. The company was targeted by a U.S.-China Economic and Security Review Commission report, which was released in April, that said the company has extensive ties with the CCP. The Pentagon subsequently ordered U.S. military bases around the world in May to pull smartphones made by Huawei and ZTE from the Army and Air Force Exchange Service (AAFES) stores over fears that the technology would compromise the security of U.S. military service members. Concerns over possible spying were also raised in the United Kingdom and Canada this year. The company was previously banned in the United States after Commerce Department officials said ZTE made false statements about disciplining 35 employees after it pleaded guilty last year to violating U.S. sanctions by illegally shipping U.S. goods and technology to Iran. The company also violated hundreds of U.S. sanctions by shipping telecommunications equipment to North Korea. However, the ban was lifted on July 11 after penalties for the violations were met.